Almost every telecom operator is providing a loan service. Its ok, It help's us in emergency! Its a need if we are unable to reach recharge shop. For the loan that operator provides, they always deduct 1 to 3 Rupees more than the actual loan taken by saying Processing Fee! There are lots of loan provided by telecom operators. and Airtel provides Talktime loan, now started internet loan also. But from above 3 operators, Airtel is a best operator to have a loan service. 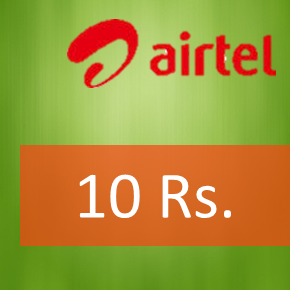 Idea deducts Rs 13 for 10 Rs talktime loan, wheres Airtel deducts only 12 Rs. Only 1 Rs difference, but it has its own value! I think Airtel is a network that provides best services (Only among A-Vo-Id group) to there customers..
can't subscribe to it. Is there anybody else havig idenical RSS issues? Anybody who knows the answer wiill you kindly respond?